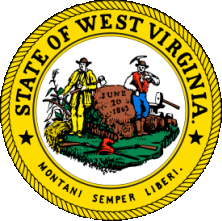 West Virginia vital records are stored both in the state's Vital Registration Office and in individual county and circuit court offices. West Virginia marriage records can be obtained for $12. The Vital Registration Office has only files for marriages that took place between 1921 and 1963 but has certified copies from 1964. The county where the marriage took place will also have a copy, which the county clerk should have. The policy for releasing a copy and the charge for doing so may vary. West Virginia divorce records are on file from 1968, and verification is available in some cases for $5; no certified copies are in Charleston. They can also be purchased from the relevant circuit court, with the charge depending on the county. When West Virginia Senator Robert Byrd died in 2010, he was the only living senator to have voted to admit a state to the Union. Note: Forward questions to vitalreg@wvdhhr.org. Record Access Requirements: This is a restricted record state. Records released to immediate family members only and others who can demonstrate a legal and tangible interest. Records forms are available at the webpage. Search Note: Online ordering is available from an approved vendor at www.vitalchek.com. Note: Records are maintained by the Clerk of Court in the county of divorce. Note: Except for certain online research capabilities, all court record access must be done at the local level. Note: The state will also sell an "incident report" of a specific criminal action for $20.00, call 304-746-2178 or use Form WVSP-141 www.wvstatepolice.com/traffic/wvsp141.pdf. This is for a single incident only. Record Access Requirements: All searches require fingerprints, also FBI fingerprint checks. Search Note: All records are returned by mail. Search can be initiated in person, results mailed. 100% of the records are fingerprint-supported. FBI checks only available if there is statutory authorization. Search Note: Location, conviction and sentencing information, and release dates are provided.